We are open to all martial artists regardless of what association they belong to and provide a safe and friendly environment to train. We are always looking for new members to join Jiu-Jitsu IBF this includes everyone from the individual to existing clubs and organisations who simply want to belong to a governing body or larger blanket organisation without compromising their individuality or have to change their training system, if you wish to become part of Jiu-Jitsu IBF you can contact us on the link at the top of the page. We have our own grading scheme and this syllabus is challenging and well structured. However we allow member clubs within our own organisation to follow their own syllabus if they wish to do so. 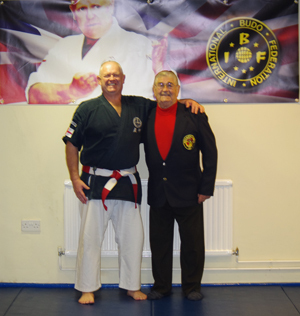 Jiu-Jitsu IBF is all about the martial art as is the ethos of the International Budo Federation. You only need a tracksuit or old clothes with nothing sharp or jagged on them to begin training! so what are you waiting for contact us now and start learning martial arts the safe, friendly and fun way!